Enough with the new year resolutions already!! Why not dump them and try these alternatives? This is the number of days that has past in 2k17. And we have a day(depending on your region though) to the new year. Wow, 2018, here we come. Sure, most of us would have set new resolutions. We can’t wait to actualize them. If there were a time machine, most of us will use it to fast forward to 2k18. Yeah, the excitement right? We’re all caught up in making new year resolutions. That’s what in vogue for now. Every blog or articles is churning out tips on how to make new year resolutions and actually make them work. But while everyone is caught up in the euphoric anticipation of the new year by setting resolutions, don’t you notice something? What everyone is doing, setting new year resolution; is actually something that is done every end of the year. And if it actually works, the world would have actually been a better place. But ironically, the world is in fact the opposite. The more we set goals, the more we fail to accomplish them and remain the same old person we were. The bottom line is this: new year resolutions most times don’t work! Yeah, I said that. It doesn’t work! But no! I ain’t disputing the fact that resolutions sometimes work. It actually works. But note!! Sometimes! There are many reasons why new year resolutions don’t work. But, you can find out that by yourself. Because that’s not the purpose of this discussion. Remember, the purpose of this post is provide you a method/system that actually makes your new year goals great. And what’s this “alpha method” ? What I’m about to offer you is no secret. In fact, you may have read it in another place. But no qualms, the end game is to make 2018 a great year for you. And what I want you to do instead of using new year resolution is to try these alternatives. But if new year resolutions do work for you, you’re on a safe side. But that doesn’t mean you shouldn’t try these alternatives! And I’m not talking with tongue in my cheek when I say this actually works. In fact, it works more than those new year resolutions we set yearly. And how do I know this? Because I am a testifier of this method. You see, years past, I usually set new year resolutions. Like everybody, at the beginning of the year, I’m energetic and enthusiastic about the resolutions. But to cut to the chase, at the end of the year, when I check the outcome of the resolutions I set, guess what? Out of let say, twelve resolutions I set, I’ll achieve only four or at most five. WTF?! That was the tradition every year until I came across an article which gave me the alternatives I’m going to give you now. And trust me, 2017 is a great year for me. Why? Cos I used these alternatives. So what are these alternatives? Below is the list of these alternatives. 2. Follow a Monthly 30-Day Challenge. Come up with a list of twelve 30-day challenges, and complete one for each month of the year. What’s a 30-day challenge? A 30-day challenge consists of setting a small goal that can be achieved in 30 days, along with the specific action that you’ll be taking each day to achieve the goal. For example, for January you could create a 30-day decluttering challenge. What action will you be taking each and every day in January in order to declutter? You could do the following: Every day during the month of January, choose five items to donate, throw out, sell, or give away. That way, by the end of January you’ll have decluttered 155 items. Not bad. Set another 30-day challenge for February, another one for March, and so on. By the end of the year you’ll have achieved 12 small goals. 3. 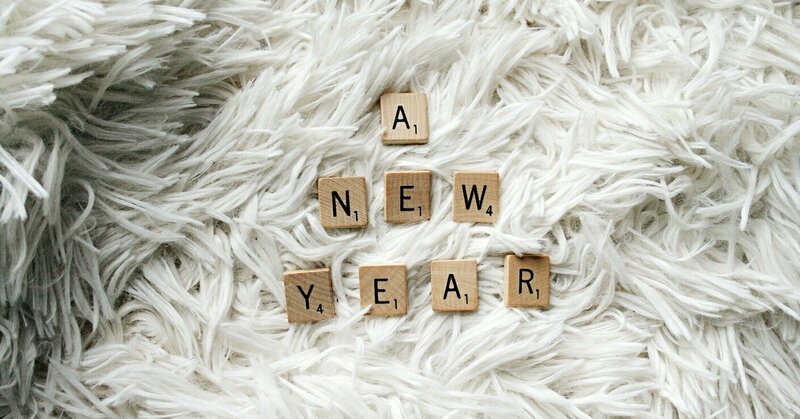 Create a list of things you’re looking forward to in the new year. We all have things we are looking forward to. List them in a paper or an E-note. You can include things such as your favorite author’s novel, Netflix upcoming series or any celebration. Creating a list such as this will give you an hopeful year. 4. Decide on a one-word motto for the year. Instead of setting resolutions, write down and critically envision what you want in 2018. After doing this, look for a word that perfectly describes your vision for the year. 5. Take life audits. Just like monetary accounts needs regular auditing, your life also needs auditing and accountability. Ask yourself thought provoking questions. How are you doing in your life? Grade yourself in all aspects of your life. Find out what aspect of your life requires improvement most. Be it financial, academics, relationships, spirituality, work, health or whatever. Find out, find out!! Start the beginning of 2018 by taking life audits to know your areas of strength and weaknesses. When you reach the end of the year, revise your audits to know how you’ve improved. There you have it, five solid alternatives to new year resolutions. So, dump that your new year resolutions if they aren’t working out and try these. But these alternatives however won’t work unless you make them work. And how do you make them work? By taking action!! Act on them. I hope you were inspired today by this post. I sure know as hell that you were. Previous Previous post: The Magic Question You Need To Ask in Order To Know Your Purpose in life! Next Next post: Happy new year!!! !